The Book of the Lodge was printed in 1855, by Robert Macoy (b. 1815 – d. 1895), who was a member of Lebanon Lodge No. 13; New York; NY (Raised 1848). 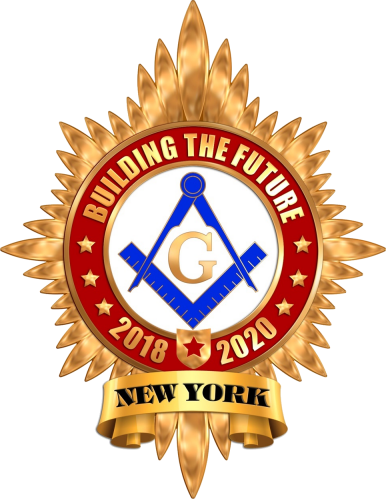 He was also Deputy Grand Master in 1856 and 1857, as well as being recognized as a Past Grand Secretary (by virtue of serving as Grand Secretary (1849;1850) in the St. John’s Grand Lodge, whose Officers were accorded Past Grand Officer status upon the Union in 1850). 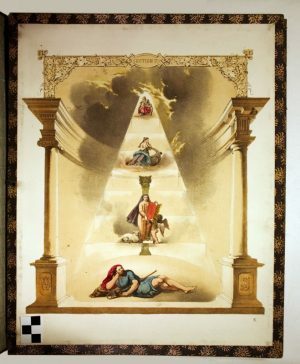 The Book of the Lodge holds richly-colored lithograph prints, a set of fourteen Masonic Emblems that symbolize the Three Degrees of Masonry. 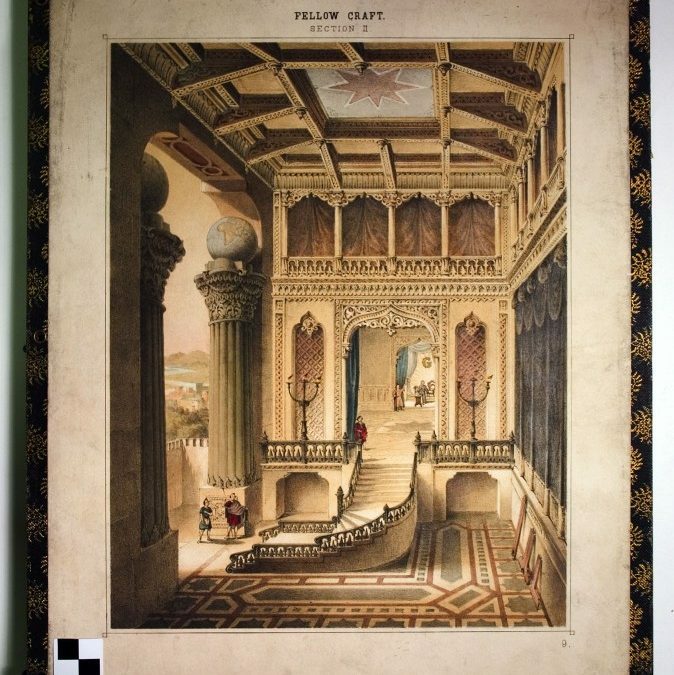 Following the fourteen color lithographs are: a sample Master Mason certificate, two pages showing the different Jewels of Office and eight pages of Songs for use during rituals. Robert Macoy served as Master of Lebanon Lodge No. 13 in December of 1849, shortly after joining Freemasonry. The following year, 1850, he was elected Grand Secretary of St. John’s Grand Lodge. 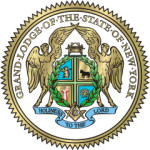 He was a member of the committee that formulated the settlement for the union of the two Grand Lodges in New York City on December 27, 1850. 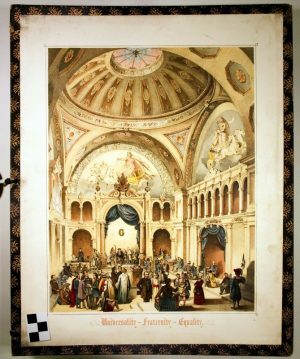 Robert Macoy’s name is most familiar to the Fraternity as the supplier of the paraphernalia, furniture, jewels, costumes and books of Freemasonry. He founded his company in 1849, providing these items. The Macoy Company exists to this day.